Mobilizing a church toward generosity is a challenge anywhere. But what about in a church where many people struggle financially? How do you move people towards generous giving when they are living in near-poverty themselves? 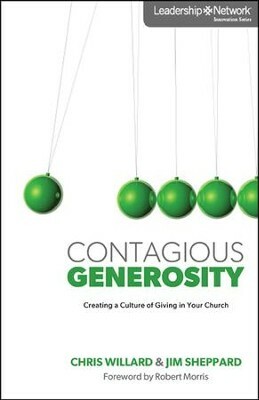 My friend Dr. Stacy Spencer, Senior Pastor of New Direction Christian Church in Memphis, Tenn., seems to have cracked the code on leading people to be generous givers despite their financial circumstances. With that foundation, New Direction generates generosity in some practical ways that are changing its people and impacting its community. Stacy says New Direction not only focuses on giving 10 percent of tithes and offerings, but also on what to do with the rest. They teach their congregation how to overcome things such as generational poverty and bad financial habits. The church hosts workshops on credit cleanup, how to save money and creating budgets. They focus especially on avoiding predatory lenders such as check-to-cash, title loans and pawn shops that thrive in low-income neighborhoods. New Direction leaders determined years ago that tithes and offerings wouldn’t be enough to pull off the economic and community development they wanted to spearhead in under-financed neighborhoods. In response, the church created a Community Development Corporation (CDC) to help restore the community through government and foundation grants and programs that meet social needs. To read more details on the Eden Square Project click here. I think the most inspiring thing New Direction does to build generosity is challenge people to give generously to a cause—despite their financial circumstances. Stacy sets the bar high. Stacy saw that play out in an amazing way. Recently, Compassion International brought its mobile experience to New Direction, and Stacy wasn’t sure how people would respond to helping international children with basic needs, when they have so many needs of their own. It all reminds Stacy of another early church in Corinthians that, although in extreme poverty, “begged Paul to help” with his mission. Stacy believes other churches in disadvantaged neighborhoods can do the same with a strong theology and a challenge to meet the needs of others. “Be inspired with what God is doing here.” Stacy says. “He can do the same thing anywhere”.